Add a serious aggressive flare to the front of your truck with one of our brand-new 2005-2015 Tacoma grille guards. Whether you want to protect the front of your truck/a> or you simply want the grille guard to add a new style to your truck, it will make the perfect piece and you will have others around you turning heads in no time. ExtremeTerrain is proud to be able to offer you a wide selection of grille guards in a number of sizes and styles to be used on your truck. Some of the most popular options are the chrome finish and the powder coated black finish, which off roaders seem to love. All of the grille guards are finished with a special protectant that allows them to be rust and corrosion resistant, so you can take them off road, in the water, or wherever else your Tacoma leads you. Each one of the grille guards is made with supreme strength in mind and you will find that the steel construction does not give in and absorbs all shock that may be inflicted on the front of your truck. Protection of the front of your truck has never been so easy to obtain and you will find that each one of the grille guards we offer is easy to install and bolts right onto your bumper without any serious modifications needed. While we do carry some of the most basic grille guards in style, we also have some high-tech ones that include designs on the front and also lights or light bars to help illuminate the road in front of you. 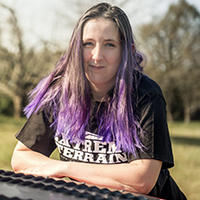 ExtremeTerrain invites you to shop our affordable collection of Tacoma grille guards today.